An eight-month development programme (August 2019 – April 2020) about leadership, sustainability and impact including a three-day life-changing learning experience in The Netherlands for 90 young professionals (23 – 33 yrs) from all over the world. During three days in October the immense topics Leadership, Sustainability and Impact will be presented, discussed, taught, debated about, and turned upside down in a never before seen format. The three-day learning experience and competition for the leaders of the future will be held from 21 – 23 October 2019 in Zeist, the centre of The Netherlands. International world class speakers will share the latest insights in the fields of leadership, sustainability and impact. Participants will gain insight into their own talents and development areas by means of their impact plan, a leadership capacity assessment, teamwork, coaching sessions and diverse workshops. 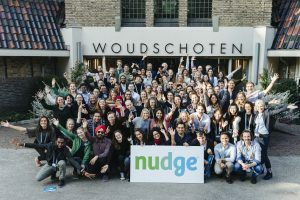 The Nudge Global Impact Awards in the Peace Palace in The Hague, the second evening, is the opportunity to connect with renowned changemakers, an assemblage of CEOs from all over the world and the Nudge Advisory Board. After three days, 90 friends for life will go back to their countries, sharing the same mindset, knowledge and motivation to make a difference. The Nudge Global Impact Challenge will be the start of an international change network of like-minded peers from all over the world. They will be ready to make a difference wherever they are in the world. How to obtain a Wild Card? For 30 young professionals, Nudge is able to arrange a sponsorship covering the cost of participation (accommodation and travel costs will be at own expense). How does this Wild Card process work? This website and a social media campaign will call for young professionals from all over the world to apply for this programme. Nudge will be looking for at least 500 Wild Card candidates. On 1 July 2019 the wild card application process will stop after which Nudge will start the thorough selection process for the best 30 Wild Card candidates with the help of our global selection partner Seedlink. In-depth interviews will also be part of this selection procedure. Upon request Nudge can assist the Participating Companies in selecting the best candidates from within their organisations with the help of a pre-defined process. This can be an internal competition, personal interviews or a digital selection process based on machine learning. The three-day learning experience will take place in the centre of The Netherlands, at Hotel Woudschoten in Zeist. 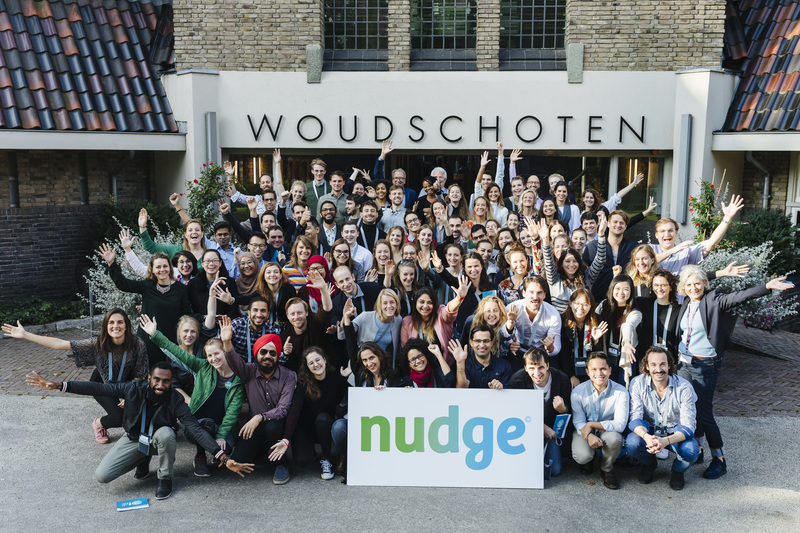 The three-day learning experience of the Nudge Global Impact Challenge will take place 21 – 23 October 2019. Get an impression of the Nudge Global Impact Challenge, take a look at the Visual Story of the 2018 Challenge.